Download Microsoft Virtual Machine Converter 3.1 over here. Run your Powershel 3.0+ as an administrator. Some times you find a cool feature on the internet. 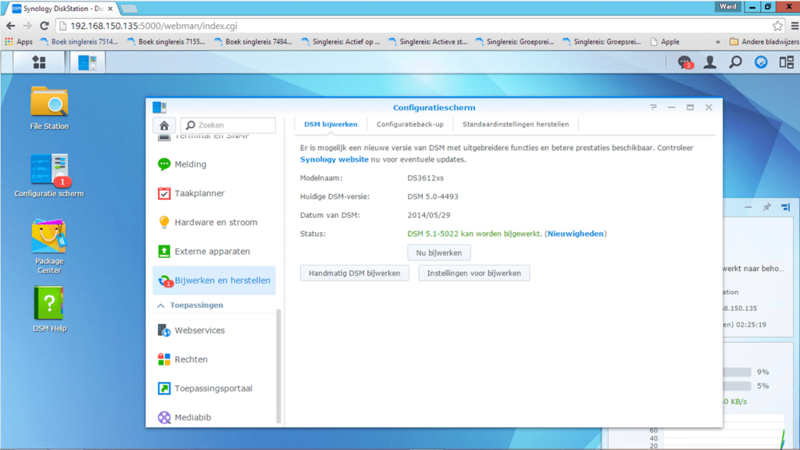 XPEnology is an operating system based on Synology DiskStation Manager (DSM). This is possible because Synology DSM has developed under the GPL license . As a result, it is free to use and adapt by third parties. The advantage of XPEnology is that it is compatible with many different hardware and so you almost any old PC / server can use as a NAS. 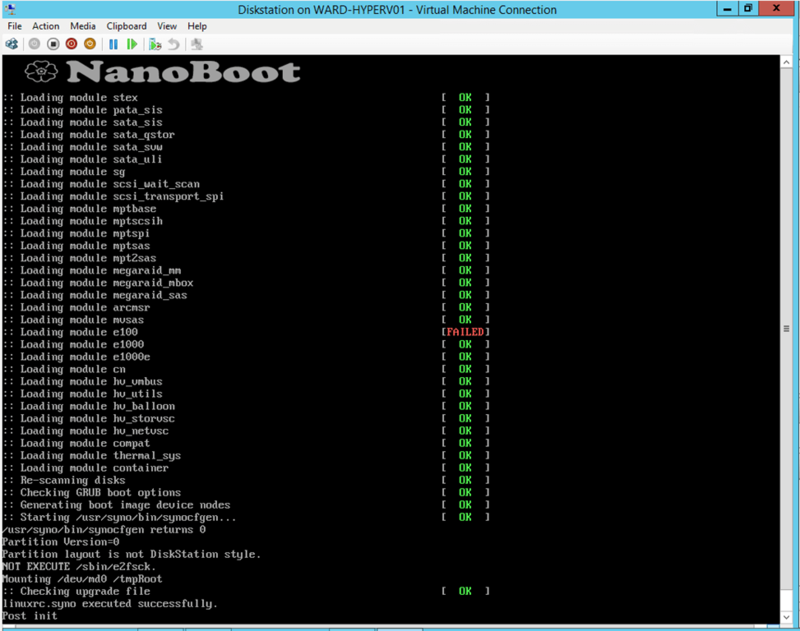 Also you can also XPEnology as a virtual machine (VM) running on ESXi for example, Hyper-V, VirtualBox. With this flexibility, functionality and ease XPEnology offers a good alternative to a Synology NAS or other NAS solutions. On XPenology.nl you will find great articles how to run the Software on Hyper-V, ESXi, Workstation and on dedictad hardware. More than 2600+ lines of PowerShell, HTML and CSS code examples. Creates a plain but detailed and user-friendly HTML report which is compatible with all modern browsers. Checks and installs required runtime environment prerequisites like Hyper-V and Clustering PowerShell. Collects information by using standard Hyper-V and Clustering PowerShell cmdlets and custom WMI queries. Can be used directly from command-line or as a scheduled Windows task. Mark Scholman has been working on a new script project to configure Hyper-V hosts. Side note: I used 2 adapters for each team configuration, but you can use for example 3 adapters or 4 adapters for Management and 2 or 3 for the VMNet. The script is intelligent on using the logical names and reusing them in the Team setup. The domain to join the server to. The ip address for the management interface. If you’re using vlans specify the vlan id. Untagged is vlan 1. The gateway for the management network. The VLAN id used for the LM network. The Primary DNS server to use for management network. If applicable: The second DNS server for the management network. The OU DN where the group needs to be created. When the server is rebooted login as the domain admin and start the Deployment tool again. For the home lab: free toolkit from Veeam, Starwind and 5nine! This is a little cool gem I discovered today: a free toolkit made available by Veeam, Starwind and 5nine software. This toolkit enables anyone to get started with virtualization, completely free. And even better, it’s very well known and high-quality stuff, too. The most affordable toolkit to meet your goals! There is no better way to start virtualizing than with a FREE Microsoft Hyper-V environment, free backup, free virtual storage and free management software! With this free toolkit, you can create your own test lab, run a small business or even scale your production environment up to 1,000 VMs. It’s a FREE way to virtualize! Now obviously, since it’s a free bundle, the contained software will be free editions with limited functionality. But for in a lab, or when you’re just getting started with virtualization, it might be very cost-effective. Finally, here’s the evaluation guides for each of the products. I think this is a good way to show the world what each of the products have in store, especially now with Hyper-V’s ecosystem evolving and maturing and having vendors like Veeam, Starwind and 5nine integrate not only with the hypervisor, but with each other, too! Posted on June 27, 2014 Categories Hyper-V, Microsoft, VirtualisatieTags 5nine, Hyper-V, Microsoft, Server 2012, Starwind, Toolkit, Veeam, WindowsLeave a comment on For the home lab: free toolkit from Veeam, Starwind and 5nine! Microsoft® Virtual Machine Converter (MVMC) is a Microsoft-supported, stand-alone solution for the information technology (IT) pro or solution provider who wants to convert virtual machines and disks from VMware hosts to Hyper-V® hosts and Windows Azure™. Converts virtual disks that are attached to a VMware virtual machine to virtual hard disks (VHDs) that can be uploaded to Windows Azure.